Across industries, marketing increasingly plays a critical role in company growth. After all, the top expectation of CEOs polled by Gartner, in the 2014 Gartner Executive Summary for CMO Leadership, Accountability, and Credibility within the C-suite, is that the CMO would not only improve, but also own the customer experience by 2016. 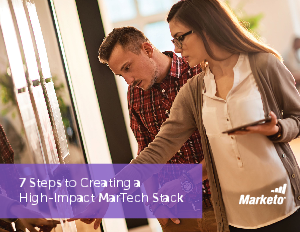 Combine this with the fact that digital is quickly becoming the de facto medium for customer interactions, and it’s easy to see why it’s essential that CMOs build an effective, efficient, and scalable marketing technology (aka MarTech) stack.